Howdy folks and welcome to the Mancave Movie Review podcast. This is Episode 152 and today we will be talking about a great Paul Verhoven flick known as Flesh + Blood. This great and fantastic film stars Rutger Hauer, Tom Burlinson and Jennifer Jason Leigh. So sit back with some good mead while Steve, Mark and Ken tell you about the good old days of the Renassaince. Hope you enjoyed the show and will be back for more. Visit us on Facebook and follow us on Twitter. You can also listen to us on Itunes and Stitcher. Howdy folks and welcome to the Mancave Movie Review podcast! This is Episode 122 and today we will be talking about Spartacus. 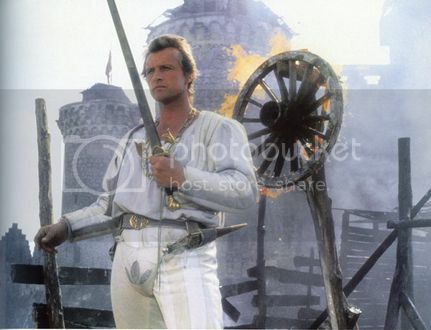 This great and fantastic film is one of the classic sword and sandals epics from yester-year and stars Kirk Douglas, Lawrence Olivier, Charles Laughton and Jean Simmons. So kick back with some wine while Steve, Mark, Ken and Jeff tell you why we like movies about gladiators. Hope you enjoyed the show and will be back for more. Please visit us on our Facebook page and give us a like and share us with your friends. Also listen to us on Itunes and Stitcher and follow us on Twitter. Hey folks and welcome to Episode 86 of the Mancave Movie Review podcast. 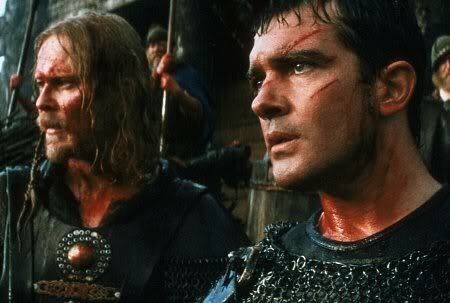 Today we will be going back to one of the great sword and sandal movies of yesteryear known as The Vikings. This great and fantastic film stars Kirk Douglas, Tony Curtis, Ernest Borgnine and Janet Leigh. So kick back in your longship and consume some tasty Northumbrian ale while Steve, Mark and Ken tell you why losing your eye in a fight seems to be an ongoing theme in this podcast. The crew here at Mancave Movie Review want to give our loyal listeners a big thank you for sticking with us and to our new listeners, we hope you enjoy our commentary and if so, please visit us on Facebook and give is a like and share us with your friends. We are also on Itunes so please leave us a review there as well. Also follow us on Twitter to see whats coming up! Hey folks welcome to Mancave Movie Review! This is Episode 78 and we are talking about 300. This great and fanstastic film stars Gerard Butler, Vincent Regan, Michael Fassbender and the gorgeous Lena Headey. So kick back with a bottle of wine or ouzo while Steve, Mark, Ken and Jeff tell you how 300 men adorned in Speedos and capes saved Western Civilization. Stay tuned until next week when we will be talking about another comic book turned movie called Dredd. Until then check us out on our Facebook page and give us a like and share us with your friends. Follow us on Twitter and also listen to us on Itunes and please leave us a review and tell us how we are doing. Greetings folks and welcome back to Mancave Movie Review Episode 28. 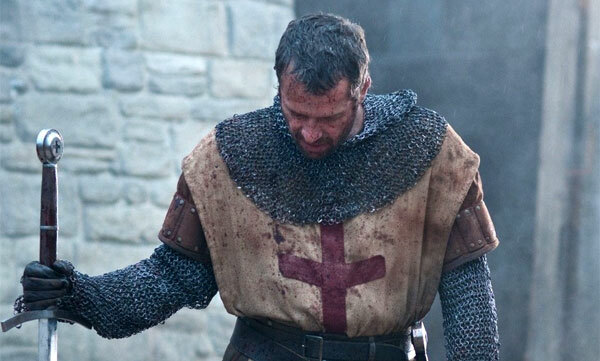 Today we will be talking about Ironclad, a great movie set during the Middle Ages in Britain, this film stars James Purefoy, Brian Cox, Paul Giamatti and Kate Mara in the hot but irrelevant female role. So kick back with a pint of ale while Jeff, Steve and Ken tell you why it sucked to live in 13th Century England if you signed the Magna Carta. Welcome to Mancave Movie Review Episode 16. Today we will be talking about another great movie by Ridley Scott, Gladiator, starring Russell Crowe, Oliver Reed, Richard Harris and Joaquin Phoenix. We are honored to introduce our good and dear friend Ken who will be joining us in this review. So sit back, relax with your beverage of choice and listen while Steve, Mark, Jeff and Ken tell you how all roads lead to Rome. Greetings and salutations and welcome to Episode 6 of Mancave Movie reviews and the movie in question is the 13th Warrior starring Antonio Banderas as an exiled Arabian poet and diplomat who meets up with an unlikely group of Viking warriors who conscript him to fight a mysterious evil in the Northlands. So grab your drink of choice and try not to lose your head while Steve, Jeff and Mark discuss this fantastic film! Remember, leave comments on the website on what movie you think we should review for April 13th. Your opinions count! Donate if you like us!